Manila Times veteran columnist on Monday called on Commission on Human Rights chairman Jose (“Chito”) Gascon, together with the body’s three other commissioners to resign immediately, if they truly care about the human rights. Rigoberto Tiglao, who is also a former diplomat, said that these Yellow Cult CHR members should vacate their position and find courage to give up their huge salaries. 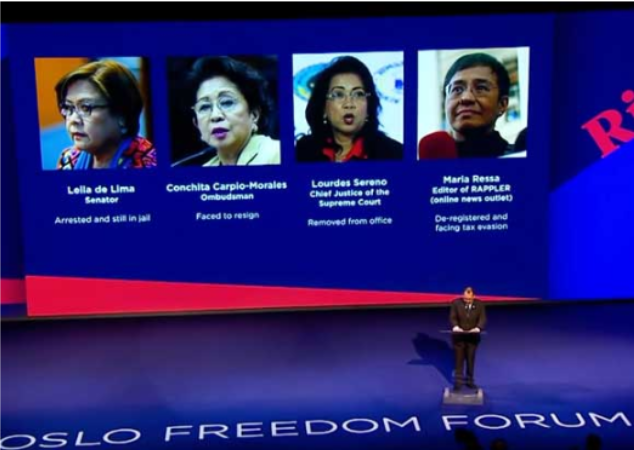 Tiglao named the following Aquino administration appointed officials who should immediately leave so the president could appoint someone independent of the opposition. • Gwendolyn Pimentel-Gana, the sister of Sen. Aquilino Pimentel 3rd, a staunch ally of former President Aquino before he switched loyalty to President Duterte when he saw the groundswell of support for the Davao City mayor just before the May elections. Tiglao also noted that CHR has been totally discredited for being a propagandist against the Duterte administration. With this, it cannot perform its main function as it immensely rely on the assistance of other agencies such as the Philippine National Police, the justice department, and the judiciary. "How could these agencies support the CHR’s investigations, when it has been indisputably clear that Gascon isn’t really interested in defending human rights but only in throwing dirt at Duterte." he said. According to Tiglao, Gascon did not even bothered himself to explain the source of his figures, which was disputed several times already by the authorities. “It is a lie that “no person has been held to account”: The PNP has referred to the Justice Department for prosecution about a hundred policemen who allegedly kilIing unarmed suspects, including the case of three Caloocan policemen executing 17-year-old Kian de los Santos.” Tiglao wrote. “What is so shameful about Gascon is that in his speeches and articles, he never discloses that he has been since the 1980s a Yellow cultist, who held the high post of director general of the Liberal Party. Thus, he conceals – successfully – the reality that for all his purportedly bleeding-heart concern for human rights, his main agenda has been to be the Yellows’ demolition crew against Duterte.” He added.